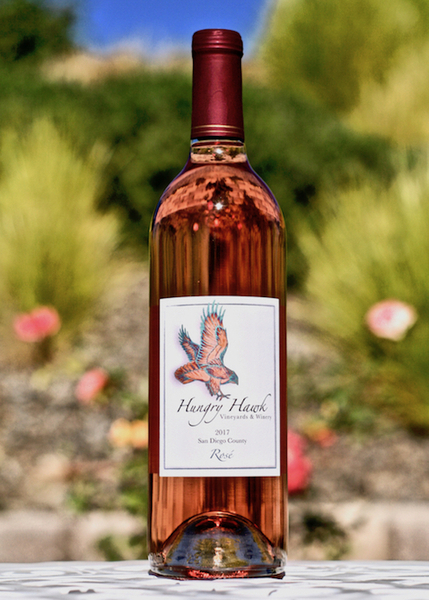 Our 3rd vintage of dry Rosé grown here at Hungry Hawk Vineyards was made in a Côtes du Rhône style with limited skin contact and direct to press grape processing. Fermentation took place in stainless steel under cool temperatures and aging occurred in neutral cooperage. 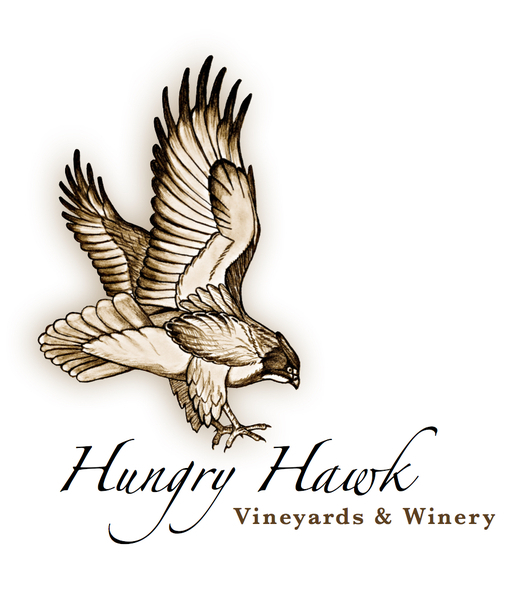 What results is a salmon hued wine with aromas of strawberries, rose petals and cherry bread, followed on the palate by a bright, viscous entry of strawberries and Key lime with a medium velvet finish. A perfect accompaniment for a sunny San Diego afternoon with friends!